Norwesco 2,650 Gallon Septic Tank, part# 44390 is a 1 compartment septic tank. It's can be used for the storage of potable water & wastewater. This plastic septic tank offers a lightweight low cost alternative to old-fashioned concrete septic tanks. The 2,650 gallon septic tank Installation requires a 25% internal backfill to equalize the pressure between the outside and the inside of the tank. Norwesco backs their septic tanks with a 3 year manufacturer warranty. Additional riser options are available. 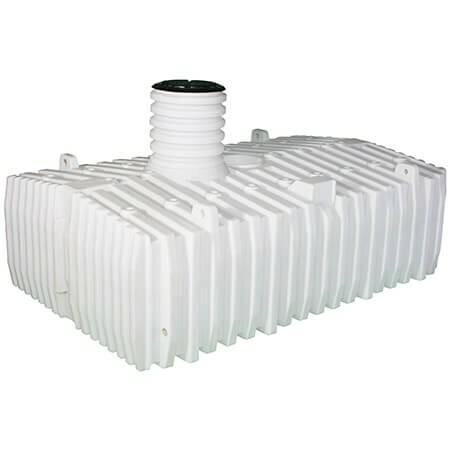 These plastic septic tanks are available in sizes ranging from 200 to 2,650 gallons.